Chandelier Development specializes in new and custom residential construction in Nashville. The company was founded by Joel Lyons in 2013. Our goal is to create a unique, functional & livable dream home for each of our clients. 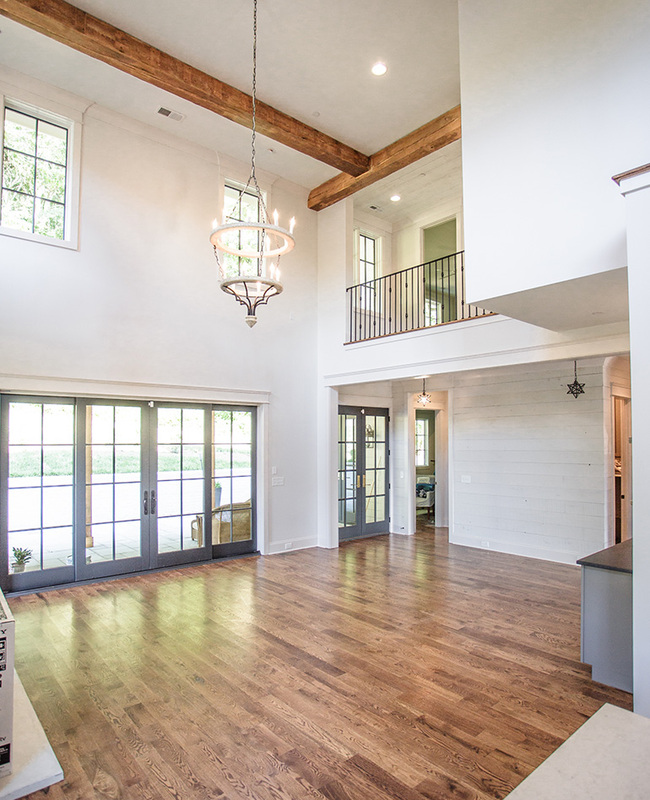 Chandelier Development was founded in 2013 when Joel Lyons returned to Nashville after deciding to leave his successful career in commercial construction to pursue his passion for residential construction in Nashville. Chandelier's goal is to create a unique, functional and livable dream home for each client. We specialize in new construction including both custom and speculative. Joel's wife, Lindsay, is a key part of Chandelier's team. She guides clients through each step of the process. Lindsay helps manage the custom details of each project and also serves as an in-house designer. When you trust Chandelier Development to build your home, you trust our creative eye, experience and expert craftsmanship. Our team of professionals go above and beyond creating simple sketches for blue prints. We want to make sure that the finished product meets all of your expectations and a place you look forward to calling home. We believe that our staff and craftsmen are our strongest attributes. We engage with subcontractors and craftsmen that share our passion for quality, professionalism and attention to detail. This enables us to achieve our goal of building quality homes throughout Nashville, Tennessee. Since inception, Chandelier has completed numerous high-end custom and speculative homes in Green Hills, Forest Hills and Belle Meade. Currently, we continue building in these areas and have recently expanded into Brentwood. In 2017 we had the opportunity to be featured on the television show Today's Builder. Watch the video clip below to learn more about us and our process.